30pc Vanesa Dinner Set is accessible in numerous appealing colors and elegant shapes make it gorgeous for all dining functions. It is ideal for a family parties and an appalling sensible gift. It is made under the direction of our expert professionals by using latest technologies keeping in mind the set industrial norms. 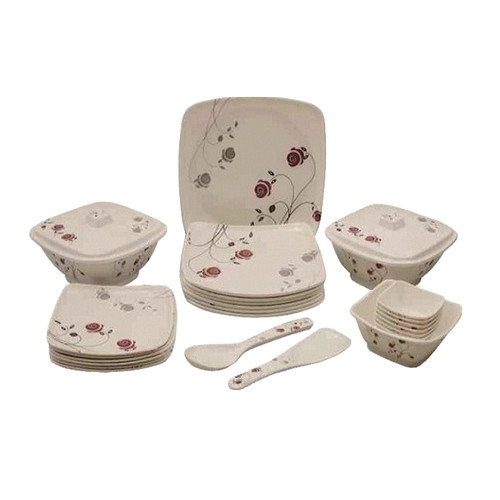 Further, this dinner sets are checked on various stages assuring their flawlessness before delivering to our valued customer ends. Our offered 30pc Vanesa Dinner Set is known for their unique features like fine finish, easy to clean, durable, simple to scrub and maintain.